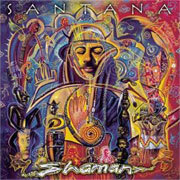 In the 2002 album Shaman, Santana's followup to the 1999 smash Supernatural, Carlos returned to the formula that had worked so well previously: collaboration with much younger artists. While Shaman didn't have the commercial success of its predecessor, it did produce several notable singles. Though the best known release is "The Game of Love" featuring Michelle Branch, another song also hit the top 10: "Why Don't You and I." Due to legal entanglements, this song has an interesting history. Why Don't You and I was originally written by Nickelback lead singer Chad Kroeger, and was sung by him as well, in the version on Shaman. However, when Santana's record label (Arista Records) wanted to release the song as a single, Kroeger's label (Roadrunner/BMG) resisted. The label felt that it would overshadow Nickelback's upcoming album, The Long Road. Fortunately, Kroeger came up with a solution: he recommended his friend and fellow artist Alex Band of The Calling as a replacement. Band re-sang the track, and that version was released as a single. (Alex Band starred in the video, too.) 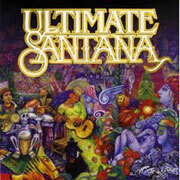 Band's version also appears on the 2008 album Ultimate Santana. Though Why Don't You And I was penned by Kroeger, it encompasses a pop sensibility that he doesn't usually display, and is a fine demonstration of his songwriting chops. Mostly in the key of Bb major, the song features a few harmonic twists, like the Ab (VII) chord in the verse, and the switch to relative minor (Gm) for the intro, with it's inclusion of both Aeolian (natural minor) and Harmonic minor modes. While Santana doesn't play any especially memorable riffs in this tune, he handles the key changes smoothly, and lends a pleasing aura to the song. Alex Band, only 20 years old when the song was recorded, has a rich voice that, not surprisingly, is fairly reminiscent of Chad Kroeger's.